Nicole Richie is not only known for her amazing style she is also know for her signature tattoo's, you can read more about all of Nicole's tattoo's here. So this got me thinking, a lot of stylish ladies look to Nicole Richie for style inspiration - I wonder how many people have used her tattoo's for inspiration. 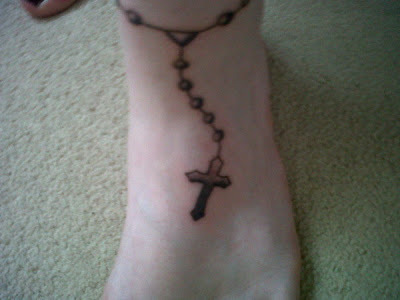 This is my rosary bead tattoo, very similar to Nicole's. I got my tattoo about 5 years ago and I still love it! I think this is the most coveted tattoo out of all of Nicole's ink. 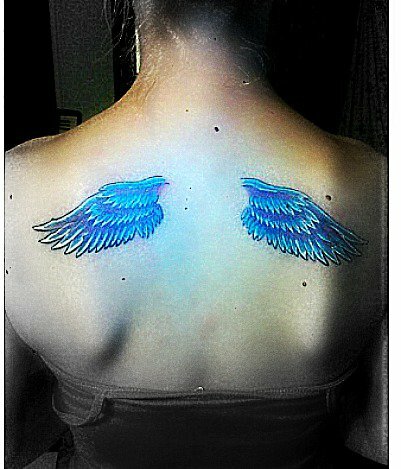 Nicole Richie fan Mydra has the wings on her back, again similar to Nicole's. Note Mdyra's Good Charlotte tattoo that is some dedication to the Richie-Madden family! Lisa has a pair a beautiful pair of blue wings inspired by Nicole Richie's. Emma has the rosary bead anklet tattoo similar to Nicole's. 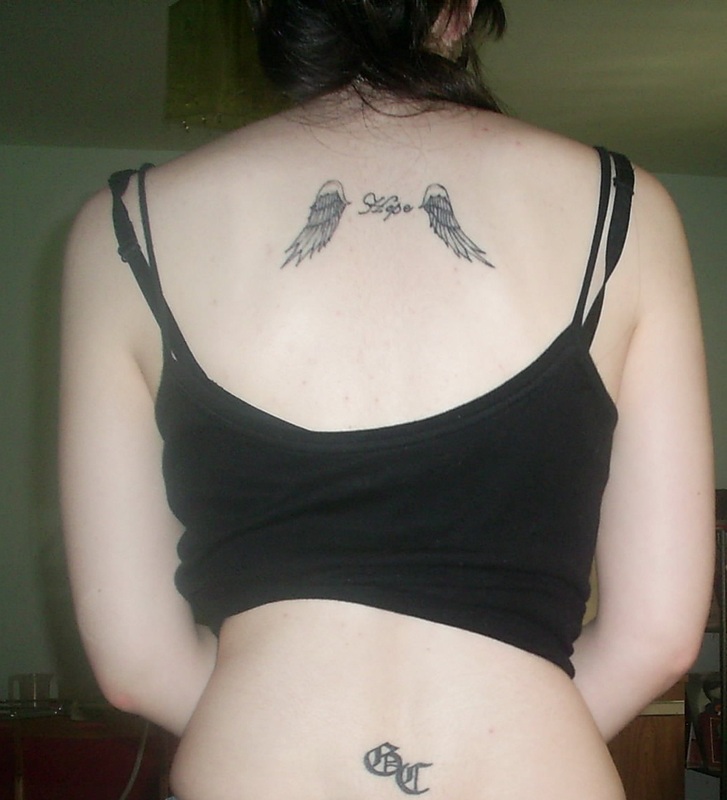 Hannah actually got her tattoo done at the same place as myself - Design 4 Life. If you have any tattoo's similar to Nicole Richie's or even inspired by Nicole, send them over to nicolerichienews@hotmail.co.uk along with a description and you could be featured on NRichieNews.